The garden was made from post-consumer recycled beauty empties collected through the TerraCycle Personal Care and Beauty Recycling Program that is sponsored by Garnier USA. 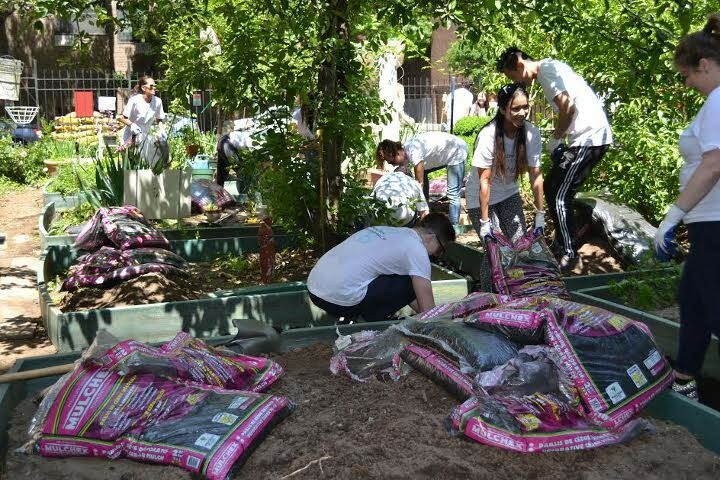 GrowNYC's garden program builds and supports community gardens, urban farms, school gardens and rainwater harvesting systems across New York City. The event was one of 200 projects across the United States supporting regional organizations and non-profits through L'Oréal USA's nationwide day of service, resulting in more than 24,000 hours of service to local communities across the country.